We have two hostels in Riohacha with space for more than 40 people. The managers are Katy from Riohacha, Colombia, and Johannes from Austria. Katy speaks Spanish as her mother tongue, fluent English and some German. Johannes speaks German as his mother tongue, fluent English and Spanish. Our hostels are the best place to start your journey to the northern most point of South America. People love the cozy atmosphere and the cool and interesting people we tend to attract. Our mission is to offer a high quality stay by giving to our guests what matters at an affordable price. This means the best service we can offer, comfortable mattresses, free delicious breakfast and facilities that not only meet but surpass our travelers expectations. We have great aspirations and there is lots of work to be done! You will benefit from having the opportunity of learning about the daily operations of a hostel in Colombia. You will work in reception and give travel recommendations and appropriate travel information to the guests. We may also use your help with mural paintings and other renovation works. We are also happy if you bring in your know how in other areas. In your stay you will have plenty of opportunities to socialize with guests from all over the world and to learn or improve languages. Most importantly we appreciate the Workawayer's creativity and are happy to see your ideas for new ways of improving the hostel and making the guest's time with us more valuable. We are looking for evening receptionists, mural painters and other help in our hostel. You should have basic to good knowledge of Spanish and English and be able to keep a conversation in both languages (more importantly Spanish). IMPORTANT: We require you to be independent, have a lot of self initiative, be reliable, trustworthy, responsible, enthusiastic, charismatic and engaging. You love to hang out with our guests, you are a talkative outgoing person to laugh and chat with and are a great team worker. Also you are very flexible. That means: If we ask you for help with something you will show enthusiasm and you will be happy to help. Our team of full time locally employed workers (four receptionists, two cleaners and one cooks) helps us with the daily tasks and is the core of our hostel in assuring that our guests have a great stay. Bed in one of our eight bed dorms with fan and breakfast (pancakes or eggs and toast or fruit bowl), free coffee, free water and free laundry service. IMPORTANT: Depending on our needs, we will be asking you to sleep in different places during your stay. DAYS OFF: For every five days you work, you will get two days off. IMPORTANT: Depending on the hostels needs you will be working up to 10 days in a row and then be off 4 days. IMPORTANT FOR COUPLES AND FRIENDS: You will not be working together. This means one person will be working and sleeping in one hostel and the other person will be working and sleeping in the other one. They are just a 3-minutes walk from each other. On your days off you can sleep in the same place. KEEP IN MIND: Riohacha is very hot. Fortunately our hostel is located just two minutes from the beach. WORKING HOURS: You won't work more than 25h a week. However keep in mind that some days you will work more and others fewer hours. Riohacha is a small city in the coast of Colombia, it is the capital of La Guajira the northern most state in Colombia. It's mostly sunny, hot and dry. There are plenty of things to do in and around Riohacha, such as going to the beach, strolling around in the promenade to see local arts, visiting the market, learning and practicing kite surf, going to one of the two shopping centers, or visiting one of the following places: the desert in the north with Cabo de la Vela, Punta Gallinas, Playa Mayapo, Parque Nacional Camarones, the mine El Cerrejón, Palomino, the green south of la Guajira with its beautiful waterfalls and rivers, Santa Marta etc. The hostel is located in the center of the city, so most spots are in walking distance. Make sure to take advantage of the proximity to the sea and go for a swim in the mornings, it's just 100m away! Get around in Riohacha: Colectivo for 1500 Pesos or a Taxi for 5000. The walking distance to the bus terminal is 15min. Let us know if you need information on how to get to Riohacha or help in booking flights or buses. Wow, what an amazing place to volunteer. Unfortunately I was only able to stay for one week, but I wish I could have stayed longer. 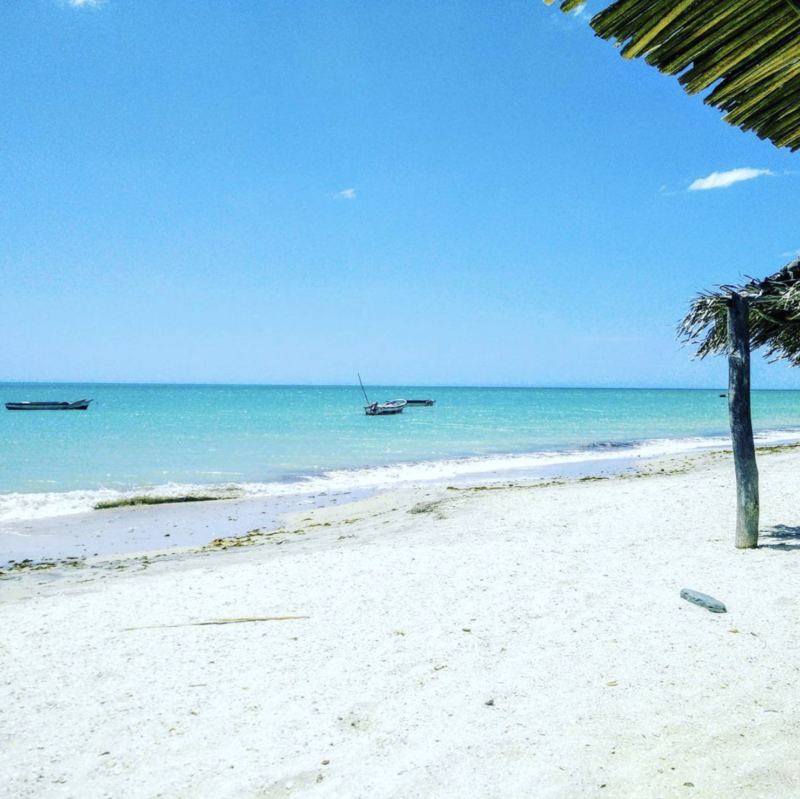 Perhaps I would come back in the upcoming months :) I was really sad to leave because everything was just perfect: BEAUTIFUL hostel, really great social environment where I was meeting lots of travellers every day,… read more fun with other volunteers, great place to relax (Beach! Pool! Hammocks! ), the owners are really nice and talk to everyone, delicious breakfast included en big kitchen to prepare own food. Every evening we (guests + volunteers) ate all together. The work itself is not hard and even fun. I loved to help serving the breakfast on the amazing rooftop terrace in the mornings and talking to the guests. Also, I talked Spanish all day because all the staff speaks Spanish. I recommend this Workaway to everyone, especially if you love social vibes and the beach. Thanks Johannes and Katy! We spent a week here and we really enjoyed it! 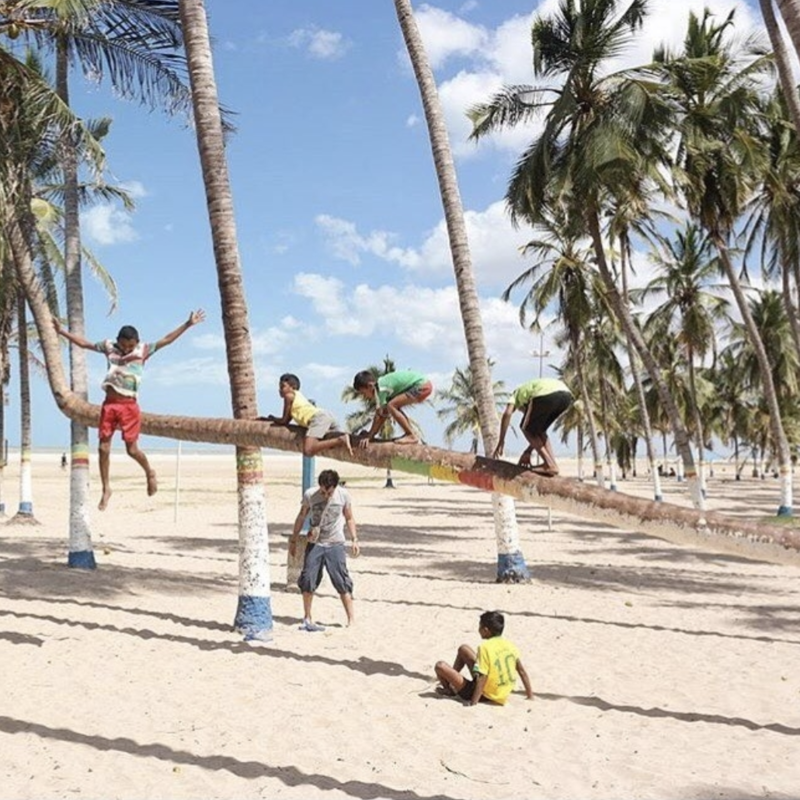 Riohacha is a really relaxed place and the work you are asked to do leaves plenty of time for yourself during the day. One of us worked at the bar serving cocktails and the other was in charge of the night shift at the reception. In some days we just enjoyed the great commodities of the hostel while… read more in others we did day trips to nearby attractions. On our 2 days off we went to the Guajira Desert which was great. Thanks for this opportunity, we wish you all good for the future. I had a brief but amazing experience working at this hostel! Everyone there is so welcoming and sincerely sweet. Johannes is a very friendly, generous and flexible host with many great stories to share! The overall atmosphere is just really homy and fun to work in, and there is a cool open air terraza where you eat breakfast, drink beer or just… read more chill anytime. Met so many cool people there, thanks guys!! I don’t know where to start! This workaway was just awesome! The work is easy and fun. 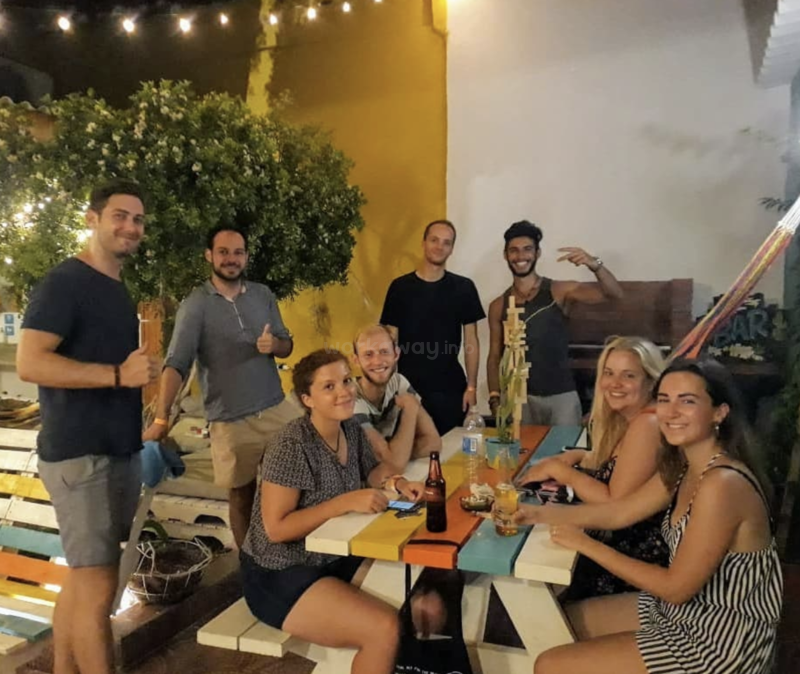 I had the pleasure to be part of the ‚renovating-team‘ la Quinta...which was an amazing experience and i learnt a lot about how to run a hostel! Johannes and Katy are just lovely! And their employees are super nice, welcoming, helpful and fun! Well, I just can’t… read more say enough good things....I stayed 1 1/2 weeks longer than I thought and I wish I could have stayed even longer....muchas gracias for the good time guys! I will be back! What a great location, only minutes from the beach, park, market, grocery stores and banks!! Upon my arrival, I was given a warm welcome from staff and hosts. I was immediately impressed by how well designed the hostel was with respect to comfort and privacy for guests. My experience may have been slightly different from other volunteers in that… read more the owners, Johannes and Katy were involved in renovating one of their locations. But despite being so busy, they never once let the high standard of operation waiver and were always on call for any problems that arose. 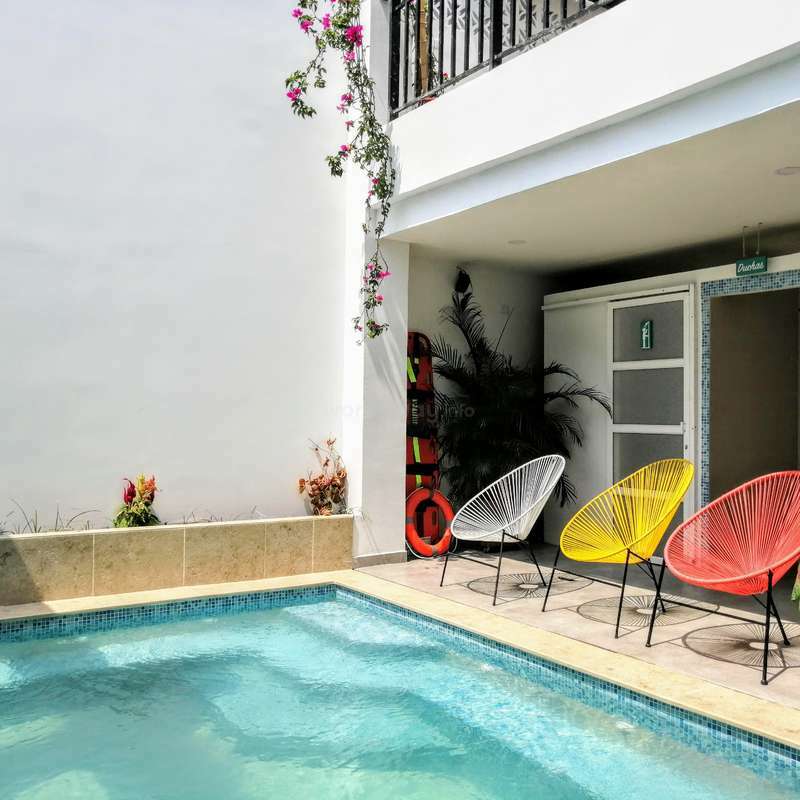 They truly ensure that guests have the best possible experience while staying in Riohacha. This caring attitude and attention to detail is reflected by their local staff. ALL are super friendly, welcoming volunteers and guests then orienting them to the hostel and the area. As well, they are diligent about keeping the hostel clean and tidy. The food is exceptional. Breakfasts are included and dinners provided at a very reasonable cost. I stayed for 2 ½ months volunteering at this hostel and enjoyed every moment. I hope I can make a return visit to see the finished renovation which will provide even more benefits for guests. I made good friends and had a good midpoint to visit the attractions of the Guajira region. Katy and Johannes have a very good vibe and lead their hostels with care. I learned a lot about how to organize a hostel, and I'm sure I would have learnt more if I staid longer. I feel lucky that I got the opportunity to volunteer at Johannes and Kathy 's hostels. The staff/co-workers were very welcoming , informative and friendly. I wanted to get a local experience, and I did, I felt right at home. The hostel is amazing. You can tell it has been well thought, designed by experienced travelers. Every single need is… read more covered and exceed it as they include breakfast and water. Thank you guys for making my first Work away experience THE BEST! Thank you so much Rehanon for helping us in our hostel. Our team and our guests loved to have you around with your cheerful spirit! Rehanon helped us in everything we asked her and more. She speaks fluent English and good Spanish. We definitely recommend her if you are starting a project or if you are a few years in. All the best from Rocco, Manchita and Oscar! Muchas gracias Rehanon por ayudarnos en nuestro hostal. ¡A nuestro equipo y a nuestros huéspedes les encantó tenerte acá con tu espíritu alegre! Rehanon nos ayudó en todo lo que le pedimos y más. Habla inglés fluido y buen español. Definitivamente la recomendamos sí está comenzando un proyecto. Todo lo mejor de Rocco, Manchita y Oscar! Where to start. I can't say enough good things about my time with Katy and Johannes and the rest of "the family". I had the most amazing 3 weeks. It helped my Spanish improve and I really did feel part of a family. The guests we had were so nice and all the staff are so kind. The pets just made it perfect. I formed a strong bond with Rocco the… read more dog. I was really missing my own dogs back home but him and the cats just make the hostel a home. Johannes and Katy were super accommodating when it came to me taking a trip to Cabo de La Vela. I can honestly say I have not had a better experience on Workaway. Thank you guys and to Leiner and Katy too you're so lovely and I look forward to seeing you again in the future. Donde empezar. No puedo decir suficientes cosas buenas sobre mi tiempo con Katy, Johannes y el resto de "la familia" . Tuve las 3 semanas más increíbles. Ayudó a mejorar mi español y realmente me sentí parte de una familia. Los invitados que tuvimos fueron muy amables y todo el personal es muy amable. Las mascotas lo hicieron perfecto. Forcé un fuerte vínculo con Rocco el perro. Realmente me estaba perdiendo mis propios perros en casa, pero él y los gatos solo hacen que el albergue sea un hogar. Johannes y Katy fueron muy serviciales cuando se trataba de hacer un viaje a Cabo de La Vela. Honestamente puedo decir que no he tenido una mejor experiencia en Workaway. Gracias chicos y también a Leiner y Katy, sois tan amables y espero verte de nuevo en el futuro. "Excelente" no es suficiente para describir que ha sido mi experiencia aquí, entre Johannes, Katy y todo el grupo con quien estuve me sentí como en casa, el trabajo no es mucho ni dificil, el desayuno y la cena son super ricas. Riohacha como ciudad es tranquila pero tiene muchisimo en el alrededor para visitar (no puedes no ir a las dunas de… read more Taroa) y de hecho estando aquí tres semanas no me dió tiempo ver todo lo que quería. Me siento muy afortunado por tener la posibildad de estar aquí en el mejor hostal de Riohacha y poder compartir con toda la gente que conocí en mis tres semanas, super recomendado y espero volver pronto yo también! We were very lucky to have Katti and Mikel in our team. They are a very cheerful couple, always up to a chat and they fulfilled and exceeded all tasks that we asked from them and offered their help when needed. During their time in reception they were very service oriented and they speak several languages which helps a lot. Tuvimos mucha suerte de tener a Katti y Mikel en nuestro equipo. Son una pareja muy alegre, siempre les gusta conversar y cumplieron y excedieron todas las tareas que les pedimos y ofrecieron su ayuda cuando fue necesario. Durante su tiempo en la recepción, estuvieron muy orientados a prestar el mejor servicio y hablan varios idiomas, lo que ayuda mucho. Estuvo muy chévere poder ayudar a Katy y Johannes en el Hostel...bien nombrado...a tan solo 3 minutos de la playa y con unos compañeros de trabajo excelentes se puede pedir poco más. 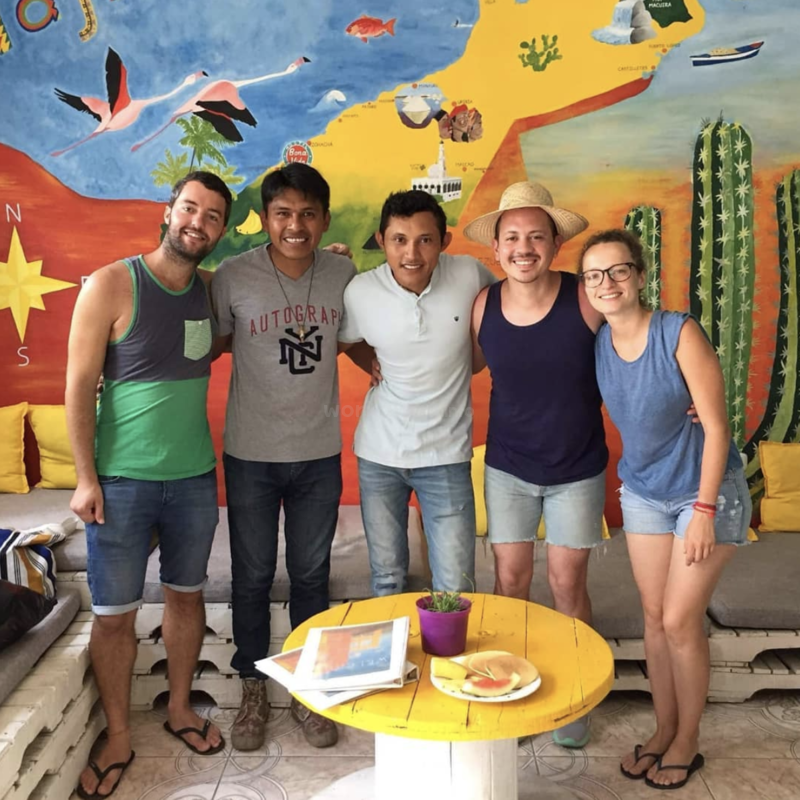 Disfrutamos de nuestros días libres recorriendo el bello norte de la Guajira y los días en el hostel del rico desayuno. Muy recomendable para cualquier viajero que… read more ande por la zona y esté interesado en trabajar como voluntario. Sigan así!! The two hostels in Riohacha are really lovely. The team with all the recepcionists and the owners make you feel like home. Riohacha as itself has a lot of potential the become a really touristic destination. At the moment there is not to much in the area except of the desert tours. Spent 3 weeks there and made some quality friends. The work is… read more exactly you have to do is exactly like the description says. 100% recommendable. To have a better experience surely helps to speak some spanish. The place is very comfortable and clean, with courtins and fans in every bed. Johana's pancakes are the bests! I volunteered 2 weeks in this hostel and it was a wonderful experience! Johannes, Kati and the whole team are amazing, down-to-earth and so easy going. The work isn't hard and they support you whenever you need help. They really made me feel part of the hostel-family. The hostel's spirit is very special and I really really can recommend workawaing… read more there! Sadly I couldn't stay any longer, but I hope to be back. Imposible no poner excelente a este usuario. Johannes y Kati son dos personas buenísimas y super respetuosas. Hasta ahora fueron los únicos que conocen la diferencia entre Trabajador y Voluntario. Ni hablar de que me enfermé y estuve mucho tiempo inactivo y solo pensaron en que mejorara. Los desayunos son exquisitos y el hostel de lujo. Nos… read more encantó la experiencia. Es una persona muy servicial, nos dio el mayor de los gustos tener a Joana con nosotros en el hostel, siempre dispuesta ayudar, siempre dispuesta a realizar las cosas de una manera positiva que al final eso es lo que necesitamos siempre en nuestras vidas, siempre feliz, alegre y muy puntual en cada una de las cosas que hacia en pro de la buena… read more vibra y calidad del hostel. The hostel is clean, rather well-decorated and the kitchen is well equipped. The included breakfast was good and the beds were comfortable with personal plugs and fan. As volunteers, we stayed in 8-bed dorms without AC and it was sometimes a bit of a pain because it is really hot in Riohacha, even with full power fans. The heat can also be quite… read more challenging when you help at the reception. Though the tasks are easy, the training was way too light which is a problem when you deal with clients who need information. We were especially puzzled about the evening shifts. The turn ends at midnight (5h of work) but you are responsible for the whole night : if a client is still outside, you need to wait until he returns (possibly in the middle of the night) to lock the door and if a client wants to leave very early in the morning before the morning shift starts, you need to wake up to open the door. So it's actually a lot of responsibility for a volonteer and definitely more than 5h of work / presence. Also, we were disappointed to note that we had to rent bath towels. It might be a detail for some, but the symbol of it left us a bit bitter since we are volonteers and not clients. Riohacha is neither pretty nor hectic, so life can be a bit boring, but the beach is nice and it's probably the best city to start your adventure in the desert. Also, we felt abused when the owner offered us to work 11 days straight without a break and take our days off after these working days to leave earlier... We obviously disagreeded which led to a tense atmosphere and finally we could leave when we wanted to. Katy y yo queremos agradecerte por colaborar en nuestro equipo y hacer parte de la familia durante tu estadía en riohacha, eres una persona alegre siempre con ganas de colaborar en lo que se necesita y dispuesta a trabajar en equipo, fue agradable tenerte como compañera de trabajo, hasta la próxima.Saludos! Katy and Johannes among made the stay as simple as it gets. The work load was not a lot and it was a breezy to help out. Juliana and Anna, clean the hostal and they end up being your friends. The pets, oh, I miss them, specially Cleo, my baby. Everything was great and I even celebrated with Katy’s family and their friends, Joahnnes’ birthday. The… read more hostels were so pretty and organized. THe only thing is they give you the schedules the day before but it’s okay because if you have plans, they work with you. I was able to sell dinners and make money, and also my crafts were sold like fresh bread. So thank you katy and Johannes and I will see you when I go back or somewhere in the world. muchas gracias , pase 10 dias increibles en el hostel , leiner siempre bien predispuesto , no tuve la suerte de compartir mucho con johanes y katy , asi y todo mil gracias por todo , hasta la proxima . I spent two weeks working here and had a really good time! I was working 5h/day in a really cool atmosphere and had a plenty of time for myself. The city of Riohacha is quiet so it’s the perfect place to relax and improve your Spanish. The hostel is super clean, comfortable, cosy and the breakfast is delicious! I also got the opportunity to have… read more 3 days off in a row so that I can visit Cabo de la vela and punta galinas with my friends, which was one of my best experience in Colombia so far. It was my first Workaway experience and it was very positive. I spent two weeks working night shifts at the hostel. 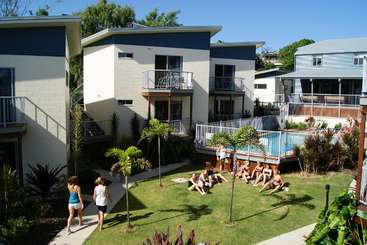 The hostels are very nice, clean and organized and the staff is very friendly! 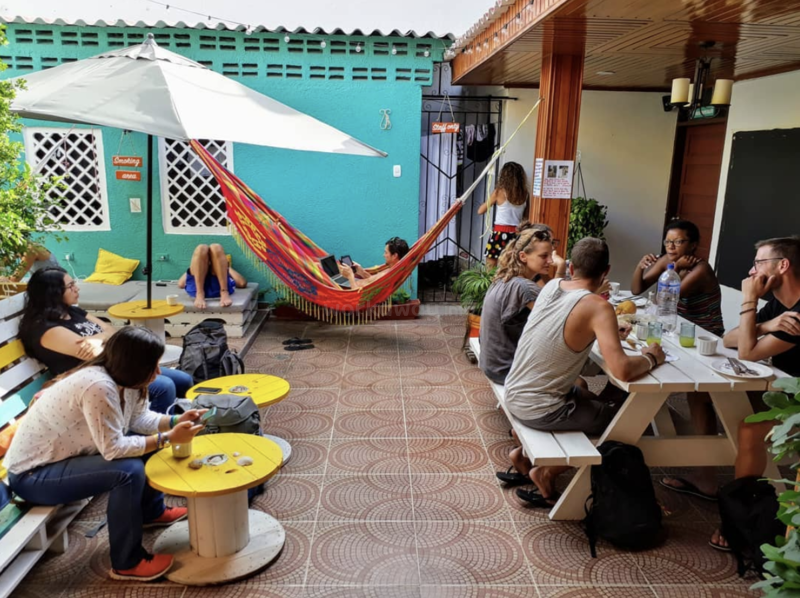 I spent most of my time in La Quinta which is a very spacious hostel and the breakfast is very good :) In the town of Riohacha there is not much to do but… read more I spent a lot of days exploring the area and making day trips to Palomino for example. For me it was a good place to practice my Spanish trying to speak with some local people. If you are looking for a relaxed place to stay I can definitely recommend this place! :) Thank you guys for everything. I spent two weeks volunteering here and had a very pleasant time. The work is veeeery easy and most of the time you basically only have to be present, occasionally doing a check-in or selling beer. As we were a couple of volunteers, some of us slept in one of the two hostels and in an apartment located between the two hostels (everything is super… read more close). I felt extremely comfortable in the hostels and the vibe with the guests and the other volunteers was also great. 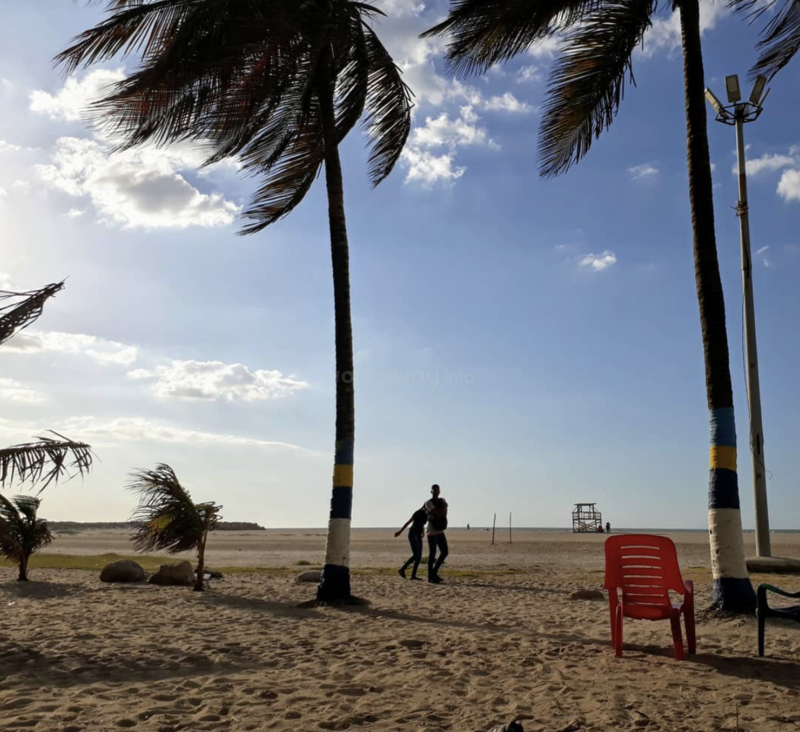 As Riohacha is touristically not exactly interesting, it is perfect for people who want to have a quiet time - the beach nearby is surprisingly nice. I spent a lot of time reading and enjoying doing nothing. The organization could have been better because e.g. they mostly didn't inform you about your shift in advance but also the owners were on vacation when I was there. I enjoyed the pancake breakfast and started hating cats. Gracias Johannes, Katy, Leiner y Kate!! Espero que todo sigua siendo excelente con los hostales y que realicen unas otras ideas bacanas, saludos!! It was my first workaway experience and very positive! I stayed almost 3 weeks and from the beginning on I felt very welcome. I only got to know Johannes and Kati at the end of my stay because they were on vacation, but I think they are well organized and easy-going at the same time. Leiner and Kate did a good job showing us the work in the hostel… read more and it was always a nice, positive atmosphere with the other volunteers. Basically you work at the reception, which was very easy and not much to do (at least in November).The only warning regarding this workaway I have: Riohacha is a really quiet town and there is not much going on. Be aware of that if you apply for a long period of time. For me it was okay to relax and do nothing in these two weeks but if you want to go out and you need some action perhaps it is not your place. Nevertheless, the Guajira is a fascinating place in Colombia. All in all it was definitely a great experience for me and now I'm in the mood to do more workaway-jobs in my travels. Thanks guys for everything and greetings from Cartagena! Mi estadia fue genial. El hostel es hermoso, y tienen todo planeado ! Johannes, Katy, Kate, Leiner y toda la gente que trabaja ahi es gente muy linda y amable. 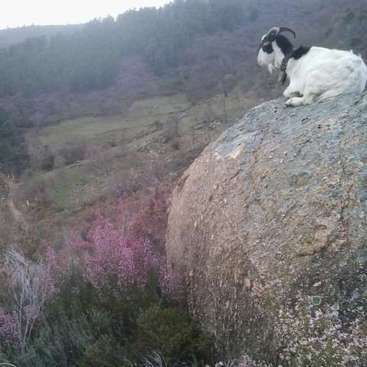 Los voluntarios, la buena onda de los huéspedes, las mascotas, el hostel, todo hizo que sea un lugar hermoso y digno de volver. Les agradezco toda la buena onda y que me hayan hecho sentir… read more como en casa. Nos volveremos a ver ! I worked in Riohacha for two weeks. I could say it was a pleasure to work for Katy and Joahnnes. I worked 5h per day, had a great breakfast (my pancakes) and almost every day a lot of fun with the team! My spanish wasn't the best during this time but Katy and Johannes gave me the chance to improve my skills on the reception. I can fully recommend to stay and work in the hostel in Riohacha!!! Thanks a million....to Katy, Johannes and the whole team that works in the Hostel! Big shout out to Katy and Johannes. Guys, you are great! You are always up for making the funniest jokes but on the other way, if it comes to business topics, you are such an inspiring and creative team! Keep up doing the good work - I am happy to be with you again one day (as a guest or as a volunteer). See you somewhere around the globe, cheers! Unfortunately we could not spend much time with Simon and Alex, but in the little time we had to together we saw that they were a great addition to our team, always up for some fun and professional at receiving guests and helping them out. We would definitely recommend having them around, as they always make sure that guests feel welcomed. Wish… read more you guys all the best! Saludos desde Riohacha! We had a good time staying at Katy and Johannes Hostel. It's a really clean, tidy and cosy place. They really do a good work with their hostel and that is motivating. The pancakes of Johanna really are a must ! All the team is very nice and welcoming. A special thanks to Yali and Shayo who make sure every day that everything is clean. The help… read more itself is pretty easy and really not exhausting : welcome the guests, do Check-in and Check-out, keep an eye on everything to be sure it stays clean, chat with the guests, etc. Almost anyone can do that, even the software to manage the reservation is easy to use. You're asked to do 5 hours shift, and that's what you'll do. Only the night shift can demand more time, depending on the guests. Sadly when we arrives Katy & Johannes were on vacations so we didn't spend much time together, and didn't get to know them much, but the few days we were together, they were nice, kind and friendly. They're willing to help you get how everything work and do understand that sometimes we can make mistakes. Anyway keep in mind that Riohacha itself is a small city, the main things to do while beeing there, is to go to Cabo de la Vella and/or Punta Gallinas for a few days. Hopefully You're vacations days will be packed as much as possible to allow you to visit thoses places. For the accomodation of the volunteers as usual you'll share a dormitory, be aware that there is not much space to put your clothes and stuff and at first we were also a bit low on fans. Hopefully by the end we all had our own fans not to die of hotness at night. Obviously the "home" is still getting habilited and we have no doubt it will be as comfy and well thinked as the Hostel in no time. So we recommand to go spend some time there, and hope you'll get to know Johannes & Katy better than us. In any case we would come back with pleasure, be it as volunteers or guests. Couldnt have chosen a better place for my first workaway experience! Johannes and Katy are awesome, and they really put an effort to make the volunteers feel at home. The work is simple, they respect the working hours and having a place outside the hostel for the volunteers its perfect for when you want to relax. We had some meals in a family… read more style, which mad the experience even more fun! Douglas nos colaboro mucho en la parte administrativa, dando nuevas ideas para… read more mejorar nuestro servicio. Heidi, por su parte es una excelente anfitriona, todos los huespedes eran felices con ella, siempre atenta y trayendo buenas vibras en el hostal. Douglas and Heidi stayed with us for two months during December and January, which is one of the busiest periods in the whole year. Both of them hard workers, professional at what they are doing, always in a good mood and always ready for some jokes or also deeper conversations. Also they are super flexible, at times working much longer hours and putting lots of effort into making our guests stay longer. To mention only one of those efforts, Just days before they left they helped organizing a big BBQ event with lots of food for 26 people, it was a big hit and all our guests had a fantastic evening. hey speak English as their mother tongue and Douglas has a good level in Spanish, he was 100% confident with it while at the reception and Heidi is comfortable working in Spanish. Both of them are very interested in practicing it more and are constantly improving. While we were on holidays for four days they were managing all activities in the hostel. For us it was priceless to know that our business was in good hands while away. They were in charge of our social media as well and administrated our Facebook and Instagram accounts and posted dozens of pictures while they were volunteering at the hostel and even until two months after they left. Also Douglas updated the hostel manual which explains all the tasks of the volunteers. 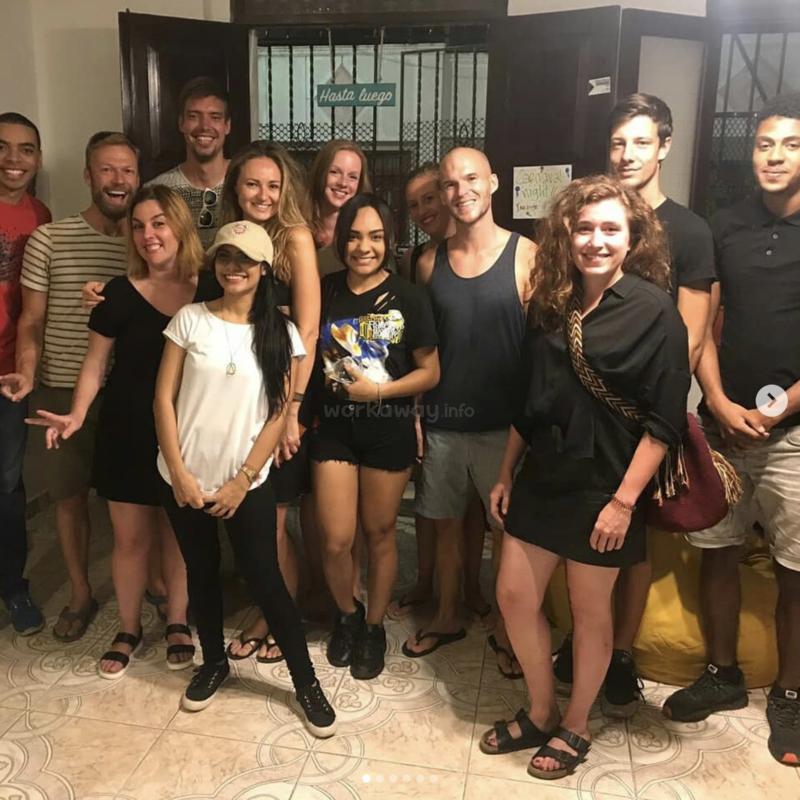 Most importantly though, Douglas and Heidi elaborated an overview of all the things to do in and around Riohacha, with recommendations for restaurants, bars, and places to visit. All of it nicely formatted and with own photographs. This overview has been invaluable for our guests and has even helped that some guests stay longer. Douglas and Heidi were from the beginning on very interested in getting to know the local culture and their customs, integrating with neighbors and people in the town. It was clear that they wanted to take something with them and experience as much as possible during their stay. 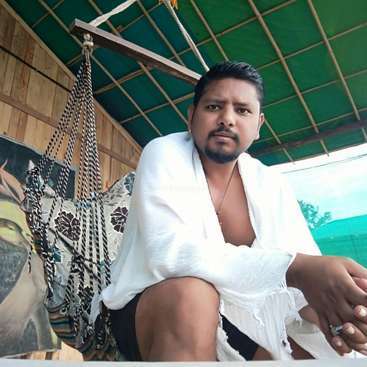 It also became obvious to them that many people in La Guajira are not as fortunate as many of our guests or us included and so decided to raise money from guests, hostel and friends at home to support the indigenous children and help improve their education. They are very communicative people, not just popping up at the hostel during their working hours, but also spent time with guests socializing and having fun during the day in their time off. Not without a reason they got praised on TripAdvisor as great hosts. The workaway reviews are true. katy and johannes are wonderful hosts and we left counting them as friends. we had a ton of fun working with them and the two months we were there flew by. this was our 6th workaway and thus far the best. riohacha is a pleasant surprise and the longer you can stay there the more you will discover. everything is… read more walkable from the hostel and the locals are friendly and welcoming. there are cool day trips and of course the trip to cabo de la vela and punta gallinas was memorable. like any workaway you have to be flexible with your schedule but katy and johannes helped arrange things so that we could take 4 days to go up to cabo and punta gallinas. they are open minded hosts who welcome input and new ideas and are fun to hang out with. very comfortable space great wifi. many spanish only speakers to work / interact with i.e. the laundry lady, cleaners, the water guy, the snacks guy, the store, the organized tour guy, etc etc and a large percentage of the guests are spanish only speakers (99 % of whom are patient and friendly) so workawayers whose "basic spanish" is more than "hola" will prove to be more helpful and will have a better experience. the hostel is now a year old and has expanded so can be very busy - be prepared to work hard !! a big recommend from us ! thanks katy and johannes !! I spent a lovely month in Riohacha volunteering with Katy and Johannes and you couldn’t ask for better hosts or friends. They’re a couple who genuinely care about their hostel and the comfort and well-being of guests and volunteers. 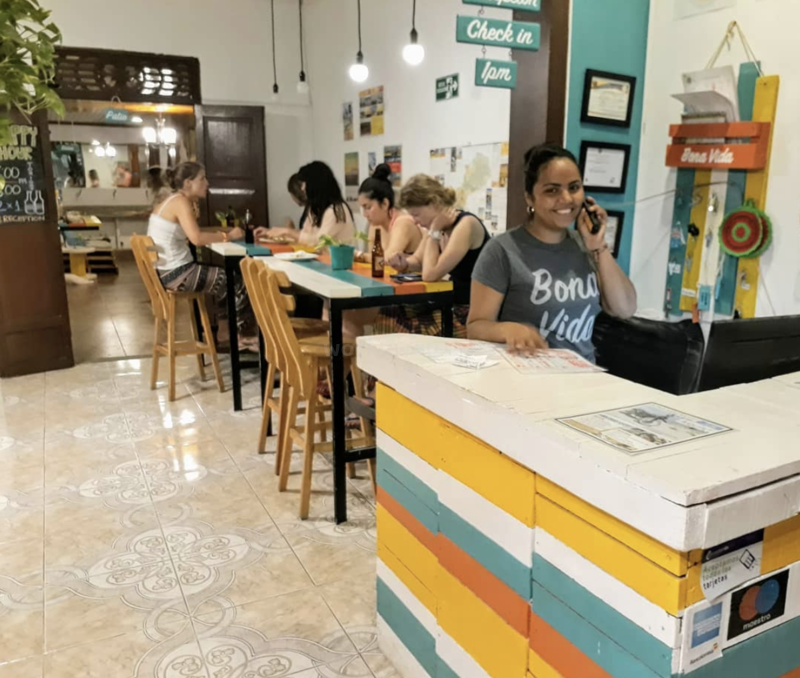 Shifts and all aspects of the hostel are very well-organised and they always respect working hours, which means that… read more when not on shift you are free to relax and enjoy the beaches and various nearby activities. I mainly worked the night reception which was generally a quiet shift as it is not a big party hostel. While Riohacha is not anything like the interior’s cosmopolitan hubs of Bogota or Medellin, it is a great place to relax awhile, experience life in a smaller coastal Colombian city, enjoy the fresh produce in the marketplaces, and use it as a base to visit the desert landscapes and Wayuu culture of Cabo de la Vela and Punta Gallinas. The hostel is just few minutes’ walk to the beach and come sunset there is nothing better than following an evening swim with hojaldres, tinto and a wander along the darkening pier. Thanks for the memorable experiences and a big cat-kiss to all the team and my feline Guajiran mistress sweet Miss Manchita! Paula was volunteering with us for almost 3 weeks. It was her first time volunteering at a hostel and she did it really well, always happy, proactive, very good at languages and full of energy. She helped us at the reception, did check-ins and check-outs and played great music as a DJ. Thanks for your help and nice vibe, and good luck on your… read more travels through South-East Asia! My first experience as Workawayer was... simply perfect!!!! Katy and Johaness are very easygoing (and patient!) and the environment at the hostel is reeeeally cozy. You never feel it as a work and you even count the hours to start your shift. You can play to be DJ in the reception (sorry for the reggaeton, guys :D :D), you do check-in, check-out,… read more buy the food for the breakfast for the next day and the most important: you talk all the time with the guests (I appreciated very much the fact of practicing English, French, and even understanding German). The relation with other Workawayers is amazing too (I made good friends in this short time!!! Furthermore, you can go to the beach, go to Cabo and Punta Gallinas in your free days, and learn Wayuunaiki with little Dilia :D I just feel it was not enough time to enjoy this experience! Thank you all! Steffi and Claudi were a great part of our team! They speak German as their mother tongue, fluent English and are confident at speaking Spanish. While we were not at the hostel for several days they took over and managed the hostel together with our other volunteers. It was good to know that our business was in good hands. Thanks Claudi and Steffi… read more for your valuable help! Safe travels! We had a wonderful stay in Riohacha. Johannes and Kathy are perfect hosts who really take care about the volunteers. Everything is well organized and if you need help they always will help you. The work is mainly welcomig the guests and help them with all questions, especially regarding the trips to Cabo and Punta Gallinas. My stay at the hostel was very great, I really enjoyed my time there. The place is very calm, you can go to the beach everyday and relax. It's the best place to stay before going to La Guajira peninsula. The shifts are very well respected and the work easy mainly welcoming the guests from all over the world. You can make a lot of friends there!… read more Cathy and Johannes are amazing people, the nicest hosts ever, they are always disponible and helping. It was a great first workaway experience and an opportunity to improve my Spanish a lot! Thanks again, I'll come back! I I stayed for two weeks at the hostel, with Joannes and Katy, very good hostel, Joannes and Katy are friendly and SUPER BONA ONDA!All the time we cooked together. I felt like I was in a house with my family and best friends. I really recommend this Workaway. Had a delightful two weeks at this Hostel and would strongly recommend it to other WorkAwayers. 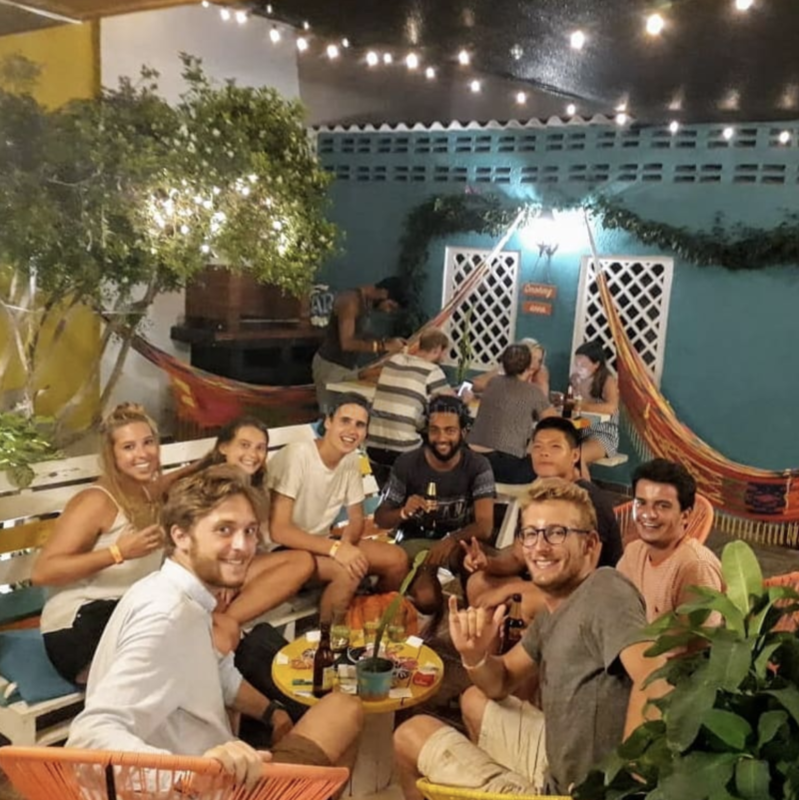 Johannes & Katy have built a fantastic hostel and go above and beyond to ensure both you and guests experience the best of La Guajira. During my stay I built a website for the hostel, integrated their booking system with the new website, designed some… read more marketing collateral and a map of the local area and attractions. We were happy to have Natalie in our team for two weeks. She is really talented at languages and speaks German, Spanish and English fluently and therefore could answer all the enquires that our guests had. She is really easy going and has a lovely nature. We wish you all the best for your travels and hope to visit you soon in Barcelona! :-) Take… read more Care Natalie! Kylie first stayed with us as guest when she told us that she would be very interested in volunteering for three weeks. We immediately told her that it would be great, if she could join our team, as she showed great attitude and was really easy going. We were really lucky that she returned a few weeks later to help us at our place. She brought in… read more a great vibe into the hostel, always with a smile and colorful dresses. It was great to know that we had someone with us that we could rely on. Kylie was mostly working in the reception, doing check -ins and check-outs and helping guests with whatever they needed. We had really nice chats with her, our cats loved her and she also knew how to prepare some delicious healthy dishes. We definitely recommend everybody that needs some help at their place to count on Kylie, she was always of great help and we became good friends. :-) Take care Kylie!!! Katy & Joha were brilliant to work with; super helpful, patient, informative and fun. Johanna who helps out at the hostel is lovely to work and share a room with as well. I was initially a guest here but after staying for 2 nights I thought it would be a great place to volunteer and I wasn't wrong. The shifts are very well organised, fair,… read more interesting and fun. The volunteers accommodation is perfect, clean and off site so you get an opportunity to switch off. The 2 cats Manchita and Blaky are legends & will make themselves known to you. The breakfast is delicious and there is also a very well equipped kitchen that you can use. Riohacha and surrounding places in La Guajira are truly unique and I think one of the most magical places in Colombia. I am really glad I returned & volunteered here; a great place, great hostel and great new friends. Good luck guys, not that you need it as your hostel is fantastic. Johannes and Katy are pretty much the best hosts ever, friendly, funny and make you feel like home from the very first second. When you have a question or need something they're always happy to help you out. The work in the hostel is super relaxed and makes a lot of fun as it is a small hostel you get to know all the guests quickly. I'm leaving with one sad and one happy eye. Great swiss couple with LOTS of energy and motivation to help whenever help is needed. When we didnt have any other volunteers they offered to stay another two weeks and therefore saved our lives during a busy period. They made sure that we would get some free time for us so we would return back to the Hostel with renewed… read more power and new ideas to implement. The two of them were looking after the hostel for one week while we were on holidays and we were happy to know that our place was in great hands, with passionate and trustworthy people. We really enjoyed the time with them, it was great to have them around and they spread a nice vibe in the hostel and they were always eager to help with whatever they could. We highly recommend them for any jobs where people interaction is necessary, as they are always up for a chat and very sociable. We all miss you! Especially Manchita that has nobody to talk to anymore :D Saludos desde Riohacha! Seriously, Katy and Johannes were such great and warmhearting people. We couldn't get any better hosts for our first Workaway experience. We felt like living in a family for 2 weeks.… read more They were always open for new ideas and helped us everywhere we needed support. If you have any chance to workaday there -> DO IT. You really gotta do it. Katy and Johannes sind so super und herzliche Menschen. Wir hätten uns keine besseren Hosts für unsere erste Workaway Erfahrung wünschen können. Grace, was a great Workawayer always there to help us with everything we needed at any time. She gave us new ideas and was always happy to learn new things. She prepared the breakfast for the guest and supported us at the reception. Was really great to have her in our team, Safe travel! Katy and Johannes are very passionate about providing a high standard of hostel accommodation for their guests. They made myself and other volunteers feel very welcome and were always available to answer any questions etc. The hostel is very clean and provides delicious breakfast options for guests and free water which volunteers are also able to… read more help themselves to. Work hours are organized well and are very fair. Days off can be arranged together, in order to do your trip to Cabo de la Vela and Punta Gallinas, which was definitely a highlight for me. Riohacha itself is only new on the tourism scene which is nice, and the beach is very close to the hostel. I wouldn't hesitate to recommend doing a workaway here, esp if you want to be in an area where you can chill out for a while. We stayed at the Hostel for 3 weeks and we loved it! Johannes and Katy are amazing and very hard working people. We felt like beeing part of the family, so did our guests! Our meaning counted and new ideas were welcome, that's great! They gave us the time to travel to Punta Gallinas and Palomino, so we knew all the details of these journeys and… read more could explain everything to our guests and give them some personal tips. The work is light but with responsability, which makes it interesting. If you like to know people from all around the world, that's the place to go! The best part were the delicious pancakes with fruits for breakfast and the lovely cats Manchita and Blacky! Muchas Gracias, Katy and Johannes! This Hostel is just amazing! I ve been working there for three and a half weeks and it was super cool! Work in general is classic hostelwork - plus the perk that you re getting an expert at preparing pancake dough (for the best hostelbreakfast ever!). The owners, Katy and Johannes, are super fun people. Working with them is pretty chilled. They… read more give you responsibility but never leave you alone. Life in general is pretty laidback in their hostel. And it´s awesomely located: literally 2 minutes to the beach. The city Riohacha itself is not pretty touristic (compared to other Colombian cities) which makes living there very pleasant. Aaand: even if you re not a animal person at all, as for example me myself, those hostel-cats gonna love you anyway! It has been a pleasure, hope to see you guys again! Thank you for the amazing time! Estuve de voluntario durante un mes en la Hostel y fue una experiencia muy enriquecedora. Sus dueños Johannes y Kati siempre me trataron con respeto y amabilidad. Su forma de trabajar es muy organizada y ante cualquier duda que tenia siempre se preocupaban en ayudarme. Me fui muy contento de haberlos conocido y de haber compartido con ellos todos… read more esos dias en el hostel. Saludos y espero verlos pronto nuevamente.